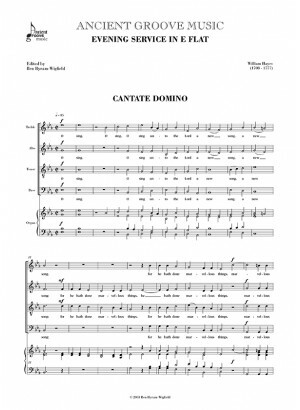 Alternative Evening Canticles for SSATTB chorus and verse, with organ. The music is shown here at original pitch and note values. The organ part has been realised from the original figured bass part. Minor corrections and alterations to the score have been made without comment. There are no dynamics in the original. 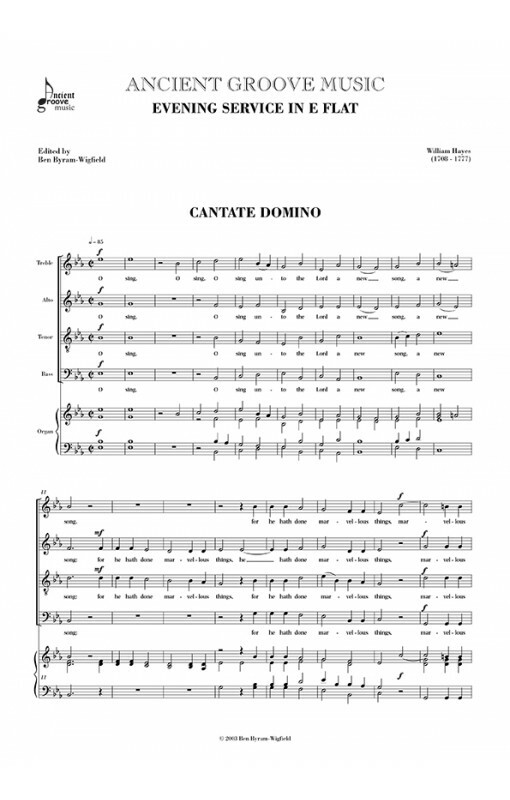 According to the Book of Common Prayer, the Cantate Domino (Psalm 98) and Deus Misereatur (Psalm 67) may be sung as an alternative to the Magnificat and Nunc dimittis at Evening Prayer, except when either features as the appointed psalm for that evening. Each work may, of course, also be sung individually as an anthem.